Blog 410 - I just love Scuba Diving! I just love Scuba Diving! This is love and exuberance. 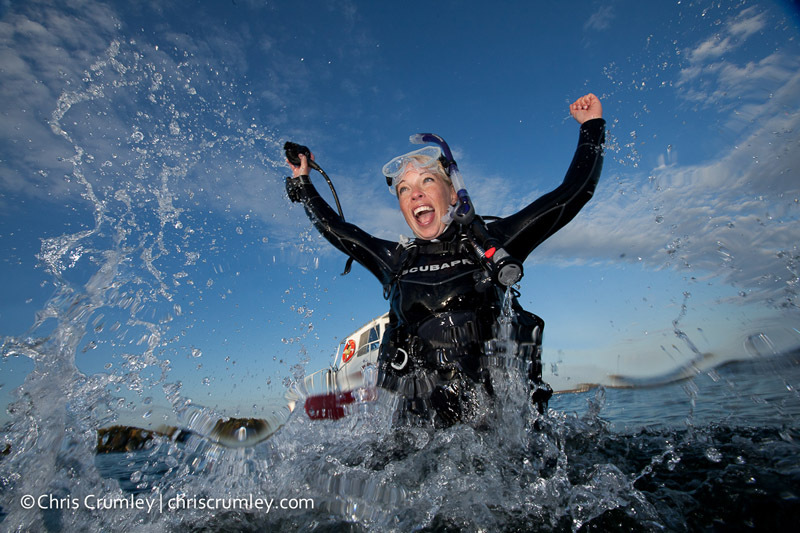 It's Shark Angels founder, Julie Anderson in SCUBAPRO cold water gear off an island in the St. Lawrence Seaway in Canada. We'd about finished our shotlist and were trying some things that spoke to SCUBAPRO, water, scuba and attitude.